Unifor's Jerry Dias has long blamed trade deals for the persistent loss of manufacturing jobs in Canada. Who'd have thought? One of Canada’s most powerful labour leaders agrees with one of the world’s most famous businessmen. 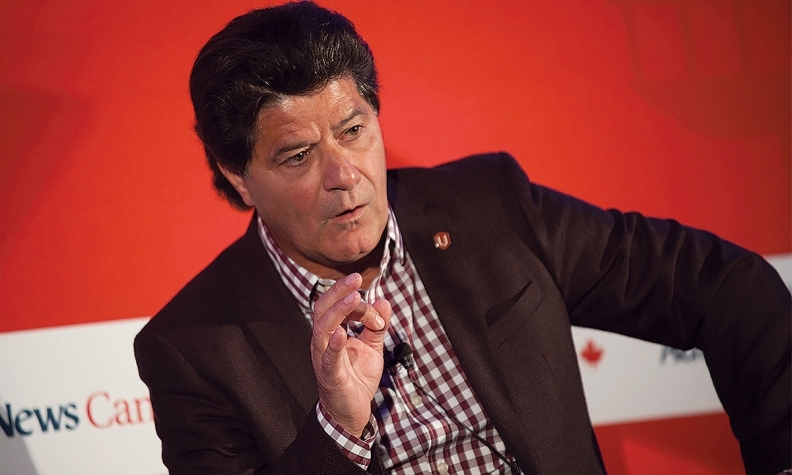 “I agree with Donald Trump about one thing, and one thing only: NAFTA,” Unifor President Jerry Dias said at the Automotive News Canada Congress. Trump’s administration is poised to trigger a renegotiation of NAFTA now that Commerce Secretary Wilbur Ross met with key lawmakers Tuesday to satisfy a final step required beforehand. Ross laid out a preliminary strategy for a NAFTA renegotiation to a group of House members he is required to consult with ahead of issuing a formal 90-day notice that the administration intends to revise the agreement, people familiar with the matter who discussed the meeting told Bloomberg on condition of anonymity. Trump, who made a reality TV career portraying a ruthless businessman and uttering the phrase, “you’re fired!” has called NAFTA a disaster and one of the worst trade deals in history. He promised to renegotiate the deal or pull out of it all together if “a fair deal” for American workers can’t be renegotiated. That’s fine by Dias, whose union and its predecessor, the Canadian Auto Workers (CAW), have long blamed the trade deal for manufacturing job loss in Canada and in Ontario in particular. Not even after Trump and House Speaker Paul Ryan each pitched a border tax on imports to the United States. “I’m a pro trader. I know 85 to 90 per cent of every- thing we build goes to the international market,” Dias said. Like Trump, he wants what he considers a fair deal, which he doesn’t think Canada got when the Canada-South Korea Free Trade Agreement was signed in 2014. The deal went into force in 2015. As part of the pact, Canada will eliminate tariffs on imported South Korean automobiles within two years of ratification of the trade deal. Unions and automakers, including Ford of Canada, panned the deal. “The president of Korea gets up every morning and laughs about the deal he got with Ed Fast (then Canadian Trade Minister),” Dias said.